FRANKLINTON, La. — A sheriff’s office in Louisiana has removed a number of Facebook posts citing Scripture or referencing Christianity in general after one of the nation’s most conspicuous atheist activist organizations asserted that the posts were unconstitutional. The Wisconsin-based Freedom From Religion Foundation (FFRF) sent a letter last year to Randy Seal, the sheriff of Washington Parish, after a “concerned local resident” contacted the organization to advise that Seal had been posting Scripture on the Washington Parish Sheriff’s Office Facebook page. “The biblical command to love one’s mother is not a suggestion. It is a commandment that requires unconditional love for our parents,” a June 1, 2017 post read in part. “Greater love hath no man that than this, that a man lay down his life for his friends,” Seal wrote on May 29, 2016, quoting from John 15:13. 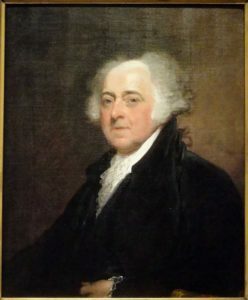 “God did not create people to be murdered by each other. He created us in sacredness of each life that senseless violence against persons will cease. The only hope society has is the blessed hope given to us by God through His Son,” he also stated on September 14, 2015 in speaking about a prayer service that he held for Louisiana law enforcement following the deaths of nine officers. Seal quoted from Psalm 145:18, Philippians 4:6 and 2 Chronicles 7:14. On Thursday, the atheist activist organization posted a news release advising that it had been informed by the legal counsel for the Washington Parish Sheriff’s Department that the posts at issue had been deleted. Seal also personally released a statement about the matter on Saturday. 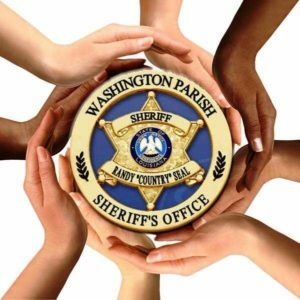 “Based on sound legal advice and being mindful of the possibility of a long and expensive legal fight, I directed that all Bible verses be removed from the official Facebook pages of the Washington Parish Sheriff’s Office,” he wrote, advising that the department could not afford the cost of defending itself should FFRF file a lawsuit. Seal lamented that FFRF has been causing organizations nationwide to “cave for fear” of having to pay legal expenses due to a “frivolous lawsuit,” noting some of the legal challenges that FFRF and other similar organizations have filed.